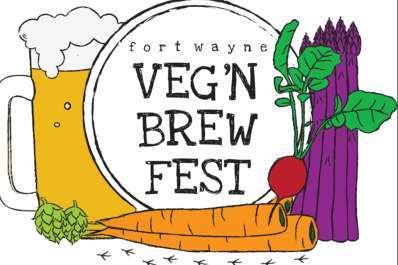 Fort Wayne Veg’n Brew Fest will take place October 5, 2019, at Headwaters Park from 12 p.m. to 6 p.m. with a special VIP hour (for a small fee) from 11 a.m. to 12 p.m. The one-day event, which is free (with the exception of the VIP hour) and open to all ages, will introduce the public to the benefits of plant-only eating and a vegan lifestyle. The festival will feature speakers, cooking demonstrations, local restaurant tastings, vendors, fitness events, children’s activities, live music from local musicians, and a beer garden with creations from local breweries. To learn more, visit fwvegfest.com.